Cisco Systems, among others, may have nudged Congress into investigating Chinese companies Huawei and ZTE for security concerns, according to a new report from the Washington Post. China's two largest telecommunications companies have taken a beating from U.S. Congressmen as they tried to enter the States' technology market. Politicians are concerned the tech giants will use their systems to help expand the Chinese government's spying networks into the US. Earlier this week, the US Intelligence Committee said the duo shouldn't be allowed to operate in the U.S. But the only proof of those claims are held secret in classified reports. 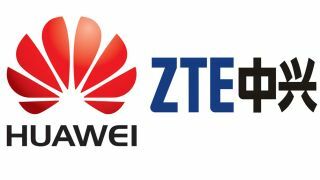 Cisco and other U.S. tech companies urged Congress to investigate Huawei and ZTE, according to an unnamed senior Hill staffer. The staffer said politicians were already concerned about the two companies, and major players in the U.S. tech industry just fanned the flames of their suspension. "What happens is you get competitors who are able to gin up lawmakers who are already wound up about China," the anonymous staffer said to the Post. "What they do is pull the string and see where the top spins." The Post even found a seven-page sales presentation called "Huawei's & National Security," which is meant to give ammo to Cisco representatives on why clients should avoid Chinese competitors and go with American companies. "Fear of Huawei spreads globally," according to the presentation. "Despite denials, Huawei has struggled to de-link itself from China's People's Liberation Army and the Chinese government." The vitriol is no surprise in the cutthroat world of telecommunications. Cisco CEO, John Chambers, has repeatedly criticized Huawei for "not playing by the rules" and declared the company a "long-term threat." Huawei has been repeatedly denied entry into the U.S. tech game by the Treasury Department's Committee on Foreign Investments for years. All based on security concerns. The two Chinese companies and their government have all denied the allegations of spying. Last month, Huawei published a 81-page document when its top brass was being grilled by the House Intelligence Committee. The report made the case for the benefits of Huawei entering the U.S. tech market, but said the investigation was "allegations based on allegations" and likened its treatment to McCarthyism. Even though the barriers to entering the U.S. market seem pretty high, Huawei and ZTE still seems pretty determined to take a slice of that American telecom pie.